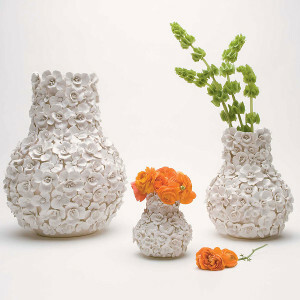 Hand-fashioned in fine porcelain, the Sakura Flower Pot is a feat of craft and a specimen of beauty. As its name implies, the Sakura takes inspiration from the Japanese Cherry Blossom, looking at the flowers in their fullest bloom. Presented in a glass case with a wood base, this showpiece is sure to fetch admirers wherever it is displayed.